It's best season for a trip to Toronto, do a good choose and let the popular Toronto bus tours make your holiday a pleasant one. Tourists always need to be educated about the history and architecture of Old Montreal before the trip. 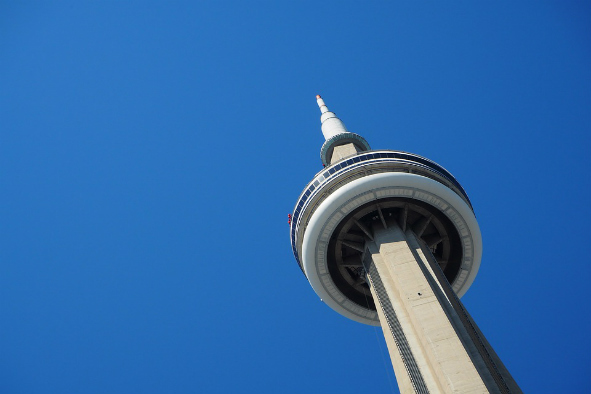 and I'd like to share my memorable Toronto travel experience with you here. Naturally our tour started with the Basilica of Notre Dame, probably Montreal's most visited building. Louis, our travel guider took us inside the basilica and we discovered that the C$ 15 admission ticket for the walking tour actually covers the $4 that the Basilica charges for admission. I got up and enjoyed a leisurely breakfast and by 9:30 or so things had calmed down again, just in time for my explorations of the city. The Old Montreal Tour last night had already given me a bit of an overview of the old historic centre of Montreal and introduced me to some interesting characters. The Basilica of Notre Dame is a magnificent Gothic revival church, designed ironically by the Protestant Irish-American architect James O'Donnell who had also designed churches in New York City, and built between 1824 and 1829. In addition to a stunning Gothic revival exterior, Notre Dame features a dramatic interior, with a deep blue ceiling that is decorated with golden stars. It is one of the most unusual churches I have seen and its visual impact is stunning. Louis explained to us that for about Can$ 2000 you can get married in this church, but obviously there is a waiting list of at least two years. Louis then took us through the side chapel out into the wedding chapel, officially called "La Chapelle Notre-Dame du Sacré-Coeur" which unfortunately was seriously damaged in a fire in 1978. The old part of the city was still quiet, and I enjoyed a peacefull stroll through the cobble-stoned streets. After a relaxing walk that allowed me to admire the architecture and the narrow streets and alleyways I returned to Place d'Armes where my Old Montreal Walking Tour, provided by licensed tour guides from Guidatour, would be starting at 11:00 am. After a relaxing walk that allowed me to admire the architecture and the narrow streets and alleyways I returned to Place d'Armes where my Old Montreal Walking Tour, provided by licensed tour guides from Guidatour, would be starting at 11:00 am. The meeting place was just outside the Notre-Dame Cathedral and our two tour leaders were already waiting. Our English-speaking group would be handled by Louis while the French-speaking group was entrusted to another guide, Bruno. Five minutes from my hotel is the Place d'Armes, one of Montreal's most famous squares. The old part of the city was still quiet, and I enjoyed a peacefull stroll through the cobble-stoned streets. I headed into one of Montreal's Tourist Information Office, located right at the southwest corner of Rue Notre Dame and Place Jacques Cartier to stock up on maps and ask various questions of the helpful staff.